Team Fortress 2 font here refers to the font used in the logo of Team Fortress 2, which is a team-based first-person shooter multiplayer video game developed by Valve Corporation. The font used for the game is probably Compacta Bold, a condensed sans serif typeface designed by Fred Lambert. The font is visually similar to the typeface Impact though Compacta has a distinctively square shape in comparison. View more details about it here. 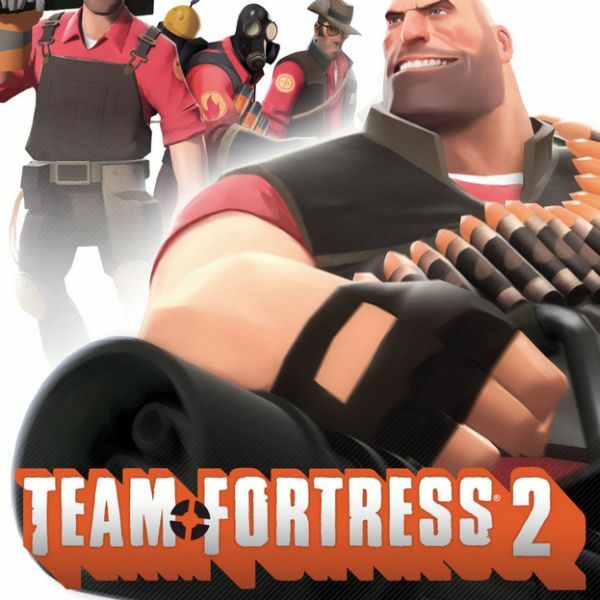 In addition to Team Fortress 2, Compacta typeface is also used in the following logos, movie posters or album covers etc., including: The Apprentice, The Last of Us, Gazprom, Road To Hill 30, Earned in Blood, Lego Dimensions, Pillowtalk (Zayn), Hell’s Highway, Harry’s Law, Philadelphia, The Usual Suspects, The Infamous (Mobb Deep), Borderlands, Dirt: Showdown, Disney Bolt.